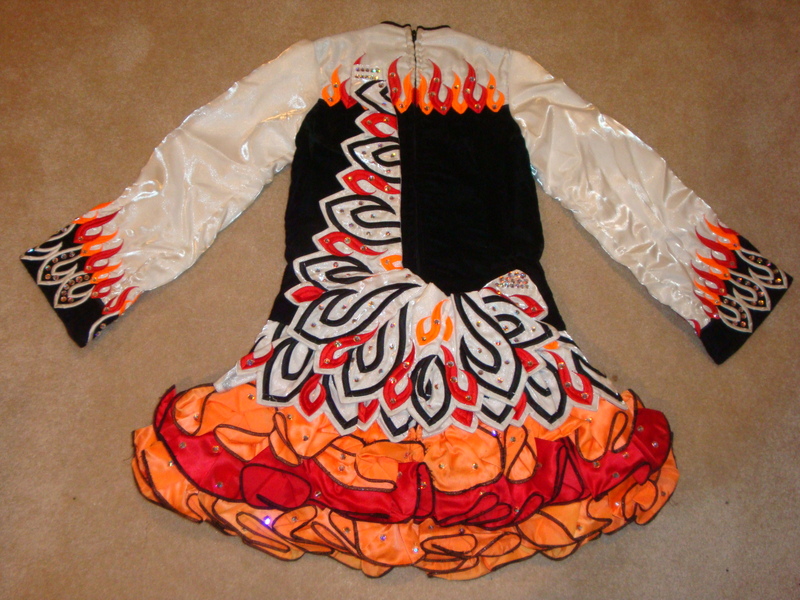 Beautiful Gavin “Fire Dress” for sale. Cupcake style with black velvet bodice and white twinkle satin sleeves. 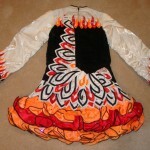 Red and orange flames are on the bodice, sleeves and skirt. It’s covered with Swarovski AB crystals and has a stunning stage prescence. 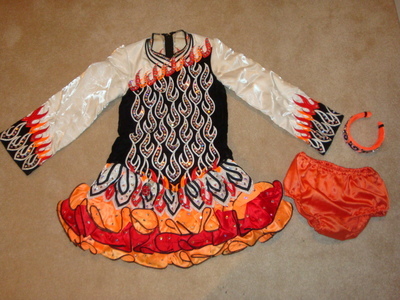 Matching orange bloomers are included and headband. 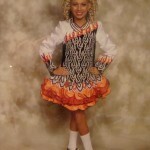 Extra ruffles that were never sewn on the dress are included as well. We got this dress when my daughter was 11 and took it up about 3″ all over and have let it out as she has grown. Lot’s of room for alterations. Lots of rooom to take in and it will still look beautiful. Sleeves still have about 1.5″ of let out room. 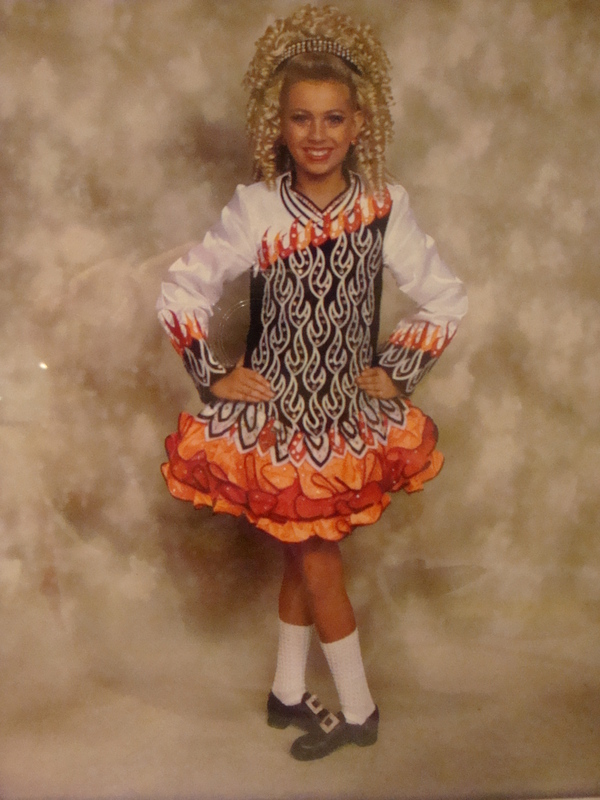 Skirt has about 1/2″ let down room. Chest and waist about 1/2″. Asking Price: $US1000.00. Shipping costs are not included in the asking price. Sale is final.